Crowning Glory: Adding flavor with simple salsas and sauces. Now Available! TEX-MEX DIABETES COOKING, the go-to cookbook for low carb, easy, satisfying, and healthy Southwestern favorites. TASTY TEX-MEX DISHES WE’VE COME TO LOVE MADE HEALTHY FOR THE WHOLE FAMILY! Cookbook author and Southwestern culinary expert Kelley Coffeen takes you on a tour of the region with more than 140 recipes that focus on fresh local vegetables, fruits, beans, cheeses rich in protein, lean meats, fish, and poultry—all with calorie, carb, and fat levels dialed in for those looking to lose weight, manage their diabetes, and work towards optimal health. In TEX-MEX DIABETES COOKING: More Than 140 Authentic Southwestern Favorites (American Diabetes Association, August 7, 2018, $19.95) the bordertown foods we love meet the health goals we want. The result is the perfect combination of healthy and nutritious: diabetes-friendly (which means EVERYBODY friendly) recipes without losing the authenticity and flavor of its Southwest meets Noreste origins. 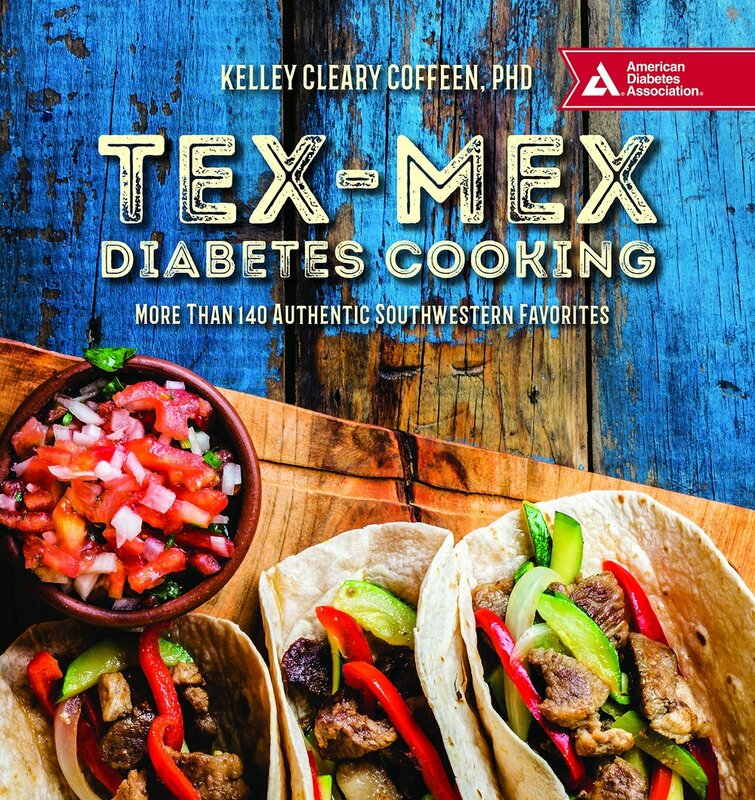 TEX-MEX DIABETES COOKING is the go-to book for home cooks looking for easy, family-friendly, satisfying, and healthy Southwestern dishes to feed their family. please share tips and other recipe love. Kelley LOVES hearing from you! She has created over 1,000 recipes, let her know which on is your favorite and why. Kelley Cleary Coffeen, PhD, is a food consultant, blogger, and cookbook author who has been fascinated with – and immersed herself in – Southwestern cooking all her life. Following the call of the coyote, she’s moved between Colorado, Arizona, and even stopped to “mess with” Texas for a time before settling in southwestern New Mexico. These days she’s less than hour from the Mexican border – as the roadrunner sprints – in one direction, and just a tamale’s throw from the world-famous Hatch Green Chile fields in the other.